When we think about child development we tend to imagine babies learning to walk, talk, and count. We do our best to make sure that our child is on track on all these abilities and that she doesn’t have difficulties in the future. But what about learning to identify and express emotions? Aren’t these skills important for the future of our kids too? They sure are! Actually, the social skills that children learn during the first five years are related to their emotional well-being and their ability to adapt in school. Plus, they are critical to form successful and lasting relationships all throughout life. Thus, as important as the physical, linguistic, and cognitive development is, emotional and social development is just as relevant. Surely, as adults, sometimes we are still working on some of these abilities, but we have been developing them since birth! Research found that emotional development begins really early in life and that it is critical for the development of the brain architecture, having immense consequences over the course of a lifetime. Emotions are biologically based and are wired into multiple regions of the central nervous system. With each individual experience and the influence of the environment, these interconnections grow and allow for a more mature emotional behavior to emerge. How does this happen in each stage of development? 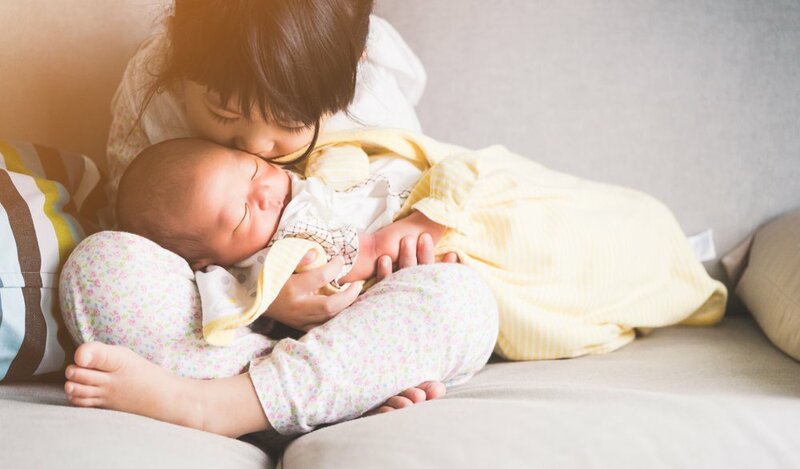 For newborn babies and infants, the emotional experiences that shape the interconnections among brain circuits happen during their interactions with a parent or caregiver. For example, while being fed, comforted, or held. In this early stage, babies are not able to regulate their feelings and their reactions, thus, it’s responsive caregiving and sensitivity that will be associated with positive emotions. In this stage, emotions are more complex. One of the most challenging tasks toddlers have to overcome is managing their feelings. Little by little they will learn to interpret their own experiences and understand what others are doing and thinking. They will rely on earlier foundations to better understand emotions. Because they build on previously learned skills and brain architecture, at the end of preschool children will be able to anticipate, talk about, and be aware of their own and other’s feelings, allowing them to handle everyday social interactions in a better way. Now, they experience much more complex emotions like, shame, pride, and guilt. Plus, they can communicate better with language, they are able to express how they feel, and ask for help through this medium. If you want to read more about this, check out this page! We always think about the mental growth of our child, we never think about the emotional growth of our child. Emotional development is also essential for children. They know at least value of family and relations.